Techbuyer has over 10 years of experience in refurbishing and configuring servers. Our Techbuyer Certified refurbished servers will provide you with a cost effective way to keep your IT upgrade cycle in place at a lower cost than buying new servers. 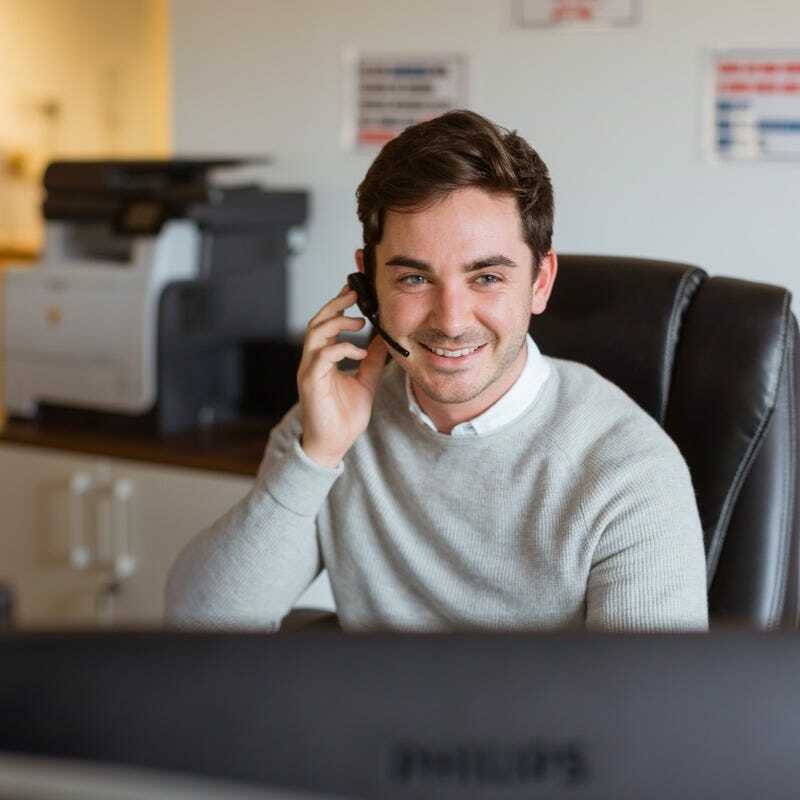 When you make an enquiry with us, we get back to you within minutes with tailor-made advice. As we stock over 225,000 IT parts in house, we can ship your refurbished server directly to you for either same day delivery to the UK and Europe or next day delivery to the US and major cities worldwide. Our services are designed to meet your every requirement, so in addition to our fast response times, we also offer free server configuration and building options as well as flexible rental and leasing contracts. What is a Refurbished Server? 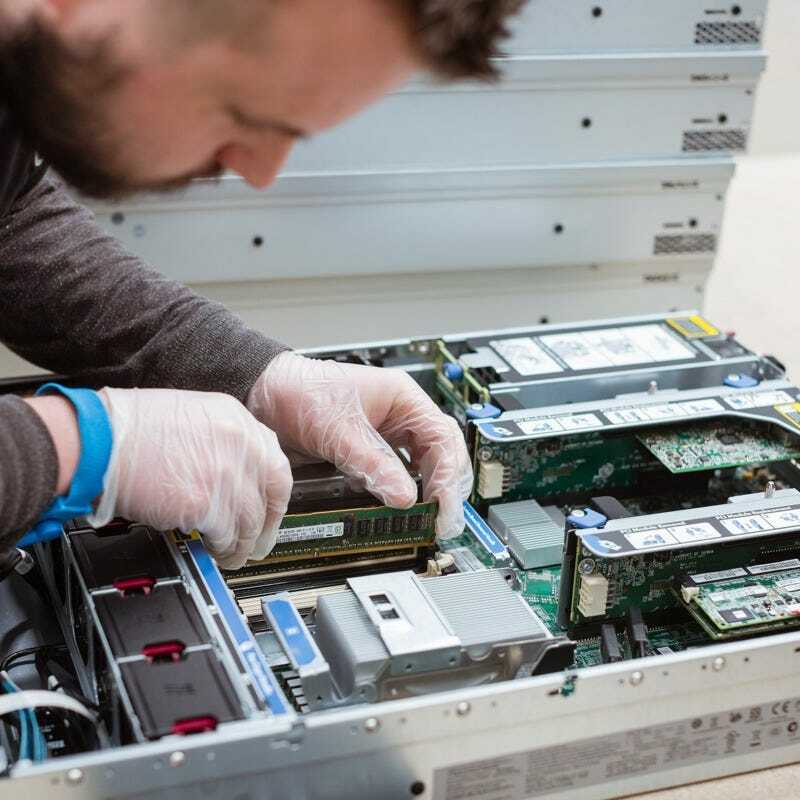 A ‘refurbished server’ is one which has been used before in a data centre environment, but then returned to us for thorough component checking, performance testing and polishing and cleaning before being made available for other customers to buy. This means you can get top of the range IT hardware such as HP ProLiant and Dell PowerEdge servers for much lower prices. The main advantage to choosing a refurbished server is the great savings you can make. You can often find big IT brands such as HP and Dell with anything from 20-80% off the RRP. Rigorously Tested & Pre-Qualified Refurbished Servers. We operate a thorough 25-point recertification process, carried out by our HPE Accredited Technical Professional server technicians using the latest diagnostic tools. This is designed to ensure all our refurbished servers deliver excellent performance, efficiency and reliability for the long term. We’re so confident in the quality of our refurbished servers that we offer a Techbuyer Three Year Warranty as standard on all our products, with optional Techbuyer Lifetime Warranty available. This gives you the ultimate peace of mind and confidence that should any issues arise, you have the option to return your part within this three year period. The quality of our servers is second to none. As a company that has provided tens of thousands of grade A refurbished servers worldwide, we understand that reliability is a major concern. However, reliability doesn’t just come with new products, with our high quality testing and refurbishment process you can be rest assured that your refurbished server will be just as reliable as its newer counterparts. By breathing new life into old servers that would otherwise be sent to landfill, this helps to minimise your business’s environmental impact. To give you complete assurance that we operate in an environmentally friendly manner, we dispose of any products not suitable for resale in accordance with stringent Waste Electric and Electronic Equipment (WEEE) Regulations. Refurbished servers from Techbuyer can often be available more quickly than new servers since they do not need to be manufactured to order. Even our configure-to-order (CTO) servers have fast turn-around times. With over 225,000 items in stock, we are confident we can provide you with the server and components you require with same day despatch, for same day deployment. 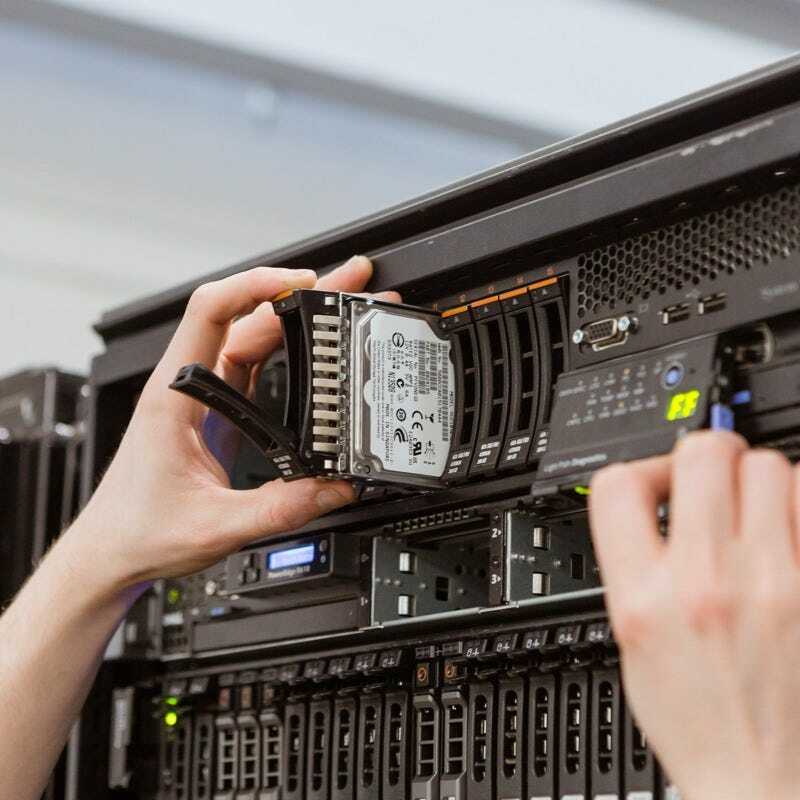 One of the main benefits of buying a refurbished server is that you can have it configured to meet your specific requirements with additional CPUs, hard drives, memory, power supplies, raid controllers and network cards. The number of options for each configured order is endless, so to make this process as straightforward and as quick as possible, we have fully trained IT Specialists, with over 11 years of experience configuring servers, on hand to help you choose the best configuration of server to suit your individual data centre requirements. Why buy a Refurbished Server From Techbuyer?